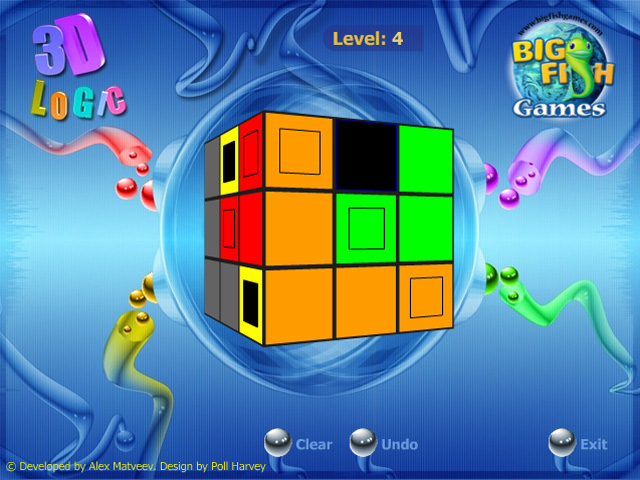 Test your spacial and logic skills in this addicting puzzle game by connecting a path of like colors.Fascinating logic game.Test your spacial and logic skills in this addicting puzzle game. 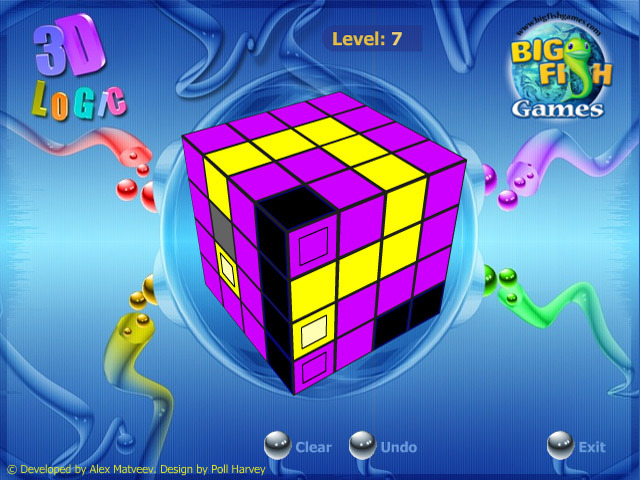 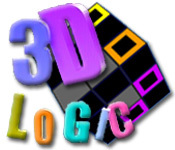 3-D Logic looks very similar to a Rubik's Cube, but it is a very different game. 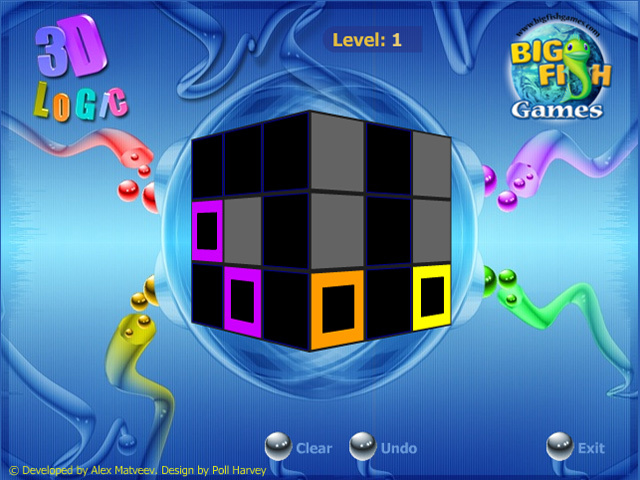 Move the cube around to connect a path of like colors, but be careful you don't get blocked by the black squares.